Need support? 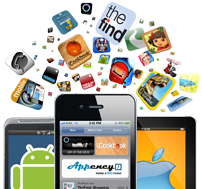 Email us – pokenet@appency.com. PokéNet is the ultimate companion app and social network for Pokémon Go! players. Connect with friends, share photos, tips, and tricks to find rare Pokemon and level up faster! Are you a master hunter? Share your tips and get featured! • See and share Pokémon Go! photos from around the world! • Tips & Tricks like how to always throw curve-balls and how to get unlimited Poke balls. PokeNet is constantly being updated with new information so keep checking back for more! PokéNet is a fan made product and is in no way endorsed by or supported by Niantic, Creatures Inc., Game Freak Inc., the Pokémon Company or Nintendo. Pokémon and Pokémon character names are trademarks of Nintendo. Other trademarks are the property of their respective owners. Supported under Fair Use.